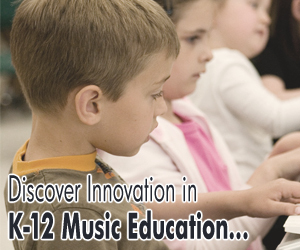 Three MusIQ Lab music education software products have earned top honors in their respective categories in the 13th Annual Education Software Review Awards (EDDIES). First place awards went to Children’s Music Journey™ Volume 1 in the Early Elementary: Music category, Children’s Music Journey™ Volume 2 in the Upper Elementary: Music category and Piano Suite Premier™ in the Multi-Level: Music category. The EDDIE awards, sponsored by the ComputED Learning Center and the Educational Software Preview Service of the San Diego Center for Educational Technology, recognize innovative and content-rich software from software publishers worldwide that provide parents and teachers alike with technology to foster educational excellence. The judging process is based on academic content, potential for broad classroom use, technical merit, subject approach, and management system. The ComputED Gazette, headquartered in San Diego, sponsors two international software awards: The Education Software Review Awards (EDDIES) in the spring and the Best Educational Software Awards (BESSIES) in the winter. ComputED’s staff and directors are educators who provide the finest computer education for children and adults in the San Diego area.